"The issues identified by the investigation are obviously cause of concern for the industry and need to be dealt with seriously. " 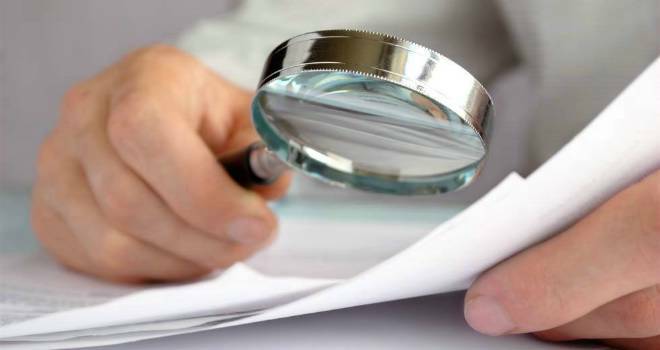 New trade organisation, The Personal Investment Management & Financial Advice Association, has called for an "immediate independent review" of the Financial Ombudsman Service's past cases where there is any doubt as to the outcome, after a Dispatches investigation found staff were inadequately trained. The programme highlighted how some staff resorted to Google to understand the products involved and felt that they had not received enough training, raising concerns that they could have favoured lenders in their outcomes. FOS said the programme "gave an unfair impression", but that it would undertake a review, overseen by the non-executive board, of the concerns raised. PIMFA was formed last summer as a merger of The Association of Professional Financial Advisers and the Wealth Management Association. PIMFA members provide a range of financial solutions for individuals and families, charities and pension funds; including investment advice and portfolio management, as well as investment and execution services, financial planning and advice. "FOS plays a vital role in cementing consumer trust in financial services, acting as a third party in which both sides can have confidence. They are dealing with an extremely high, growing annual case load – over 1.4 million PPI cases alone since 2010 - therefore its productive operation is essential to ensure best practice throughout our industry and to help promote a culture of savings and investment." “The issues identified by the investigation are obviously cause of concern for the industry and need to be dealt with seriously. It is imperative that individuals feel confident they can seek redress if something has gone awry to avoid severe detriment to individuals lives. We therefore support the call for a review of past cases that remain questionable in a bid to prove that cases have been dealt with correctly. "PIMFA also call for an urgent review of the FOS training regime to ensure that its staff have sufficient knowledge when dealing with complex pension, advice and investment claims they receive. We recognise that the mounting case load is putting pressure on staff who in most instances are working hard to achieve the fairest outcomes. However an evaluation of internal culture is essential to deal with issues identified such as the obvious lack of necessary training and the setting of unachievable targets, which seriously impacts the decision-making process. "Any planned extension to the remit of FOS should be suspended until we can be assured that staff have the necessary knowledge to deal with the subject matter competently to achieve just decisions. "The Dispatches programme on the work of the Financial Ombudsman Service gives an unfair impression of us. Our role is to investigate disputes between financial businesses and their customers – making impartial decisions based on what’s fair and reasonable in each individual case. "Every day we make difficult judgement calls that affect people’s lives. Our people are committed to doing the right thing – and we’re determined to provide a fair and trustworthy service for our customers and the best support for our staff. "Of course, it’s always important to know where improvements can be made. A review, overseen by the non-executive board, of the concerns raised in the programme will be undertaken."